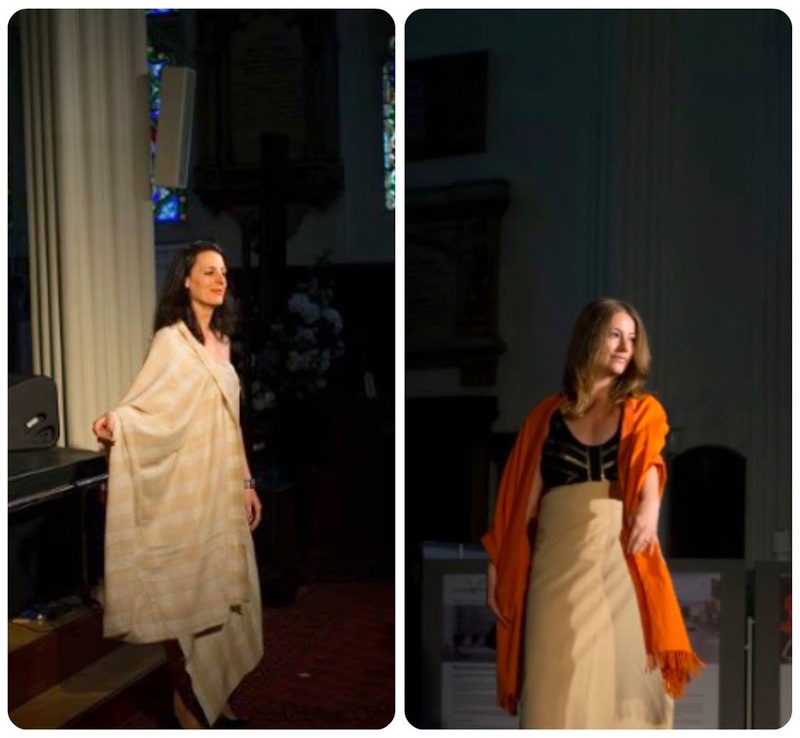 I've finally got some pictures of the Weaving Destination fashion show we had during the Edinburgh Festival! 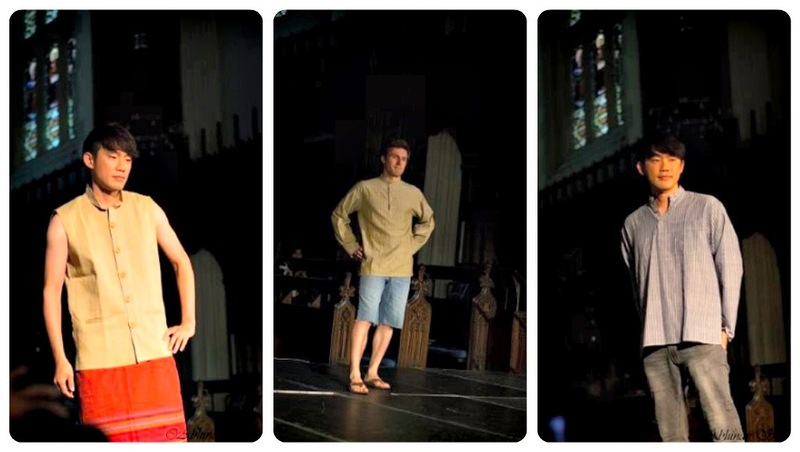 The fashion show was held in the amazing St. John's Church – right in the heart of the Festival. We were very happy to have a few male models! 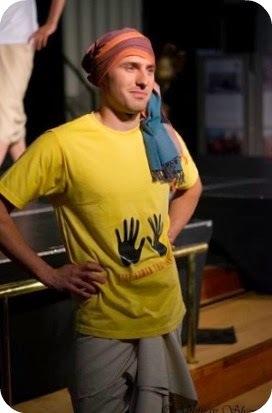 They also wore the Nedan Foundation's 'Stop Human Trafficking' shirts. 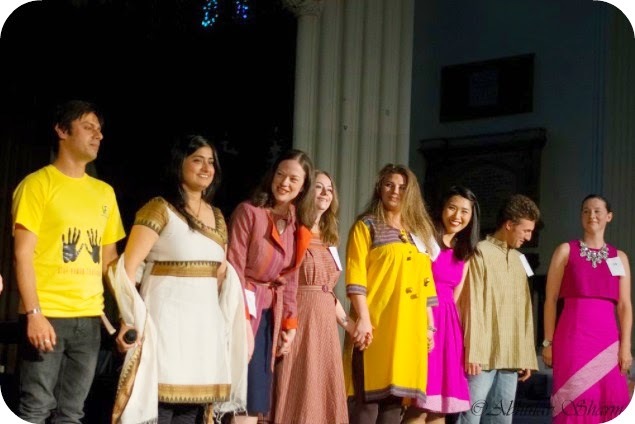 The Nedan Foundation is the charity associated with Weaving Destination in India (read more here). 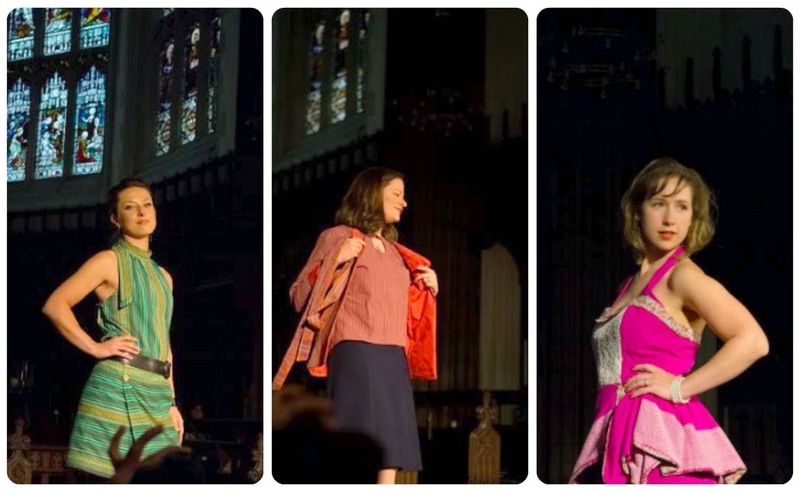 The second round of the fashion show featured our designer garments. Sally from Charity Shop Chic even came up to Edinburgh to model her own make!! You'll recognise these amazing makes from my previous post. Don't they look great going down the runway? 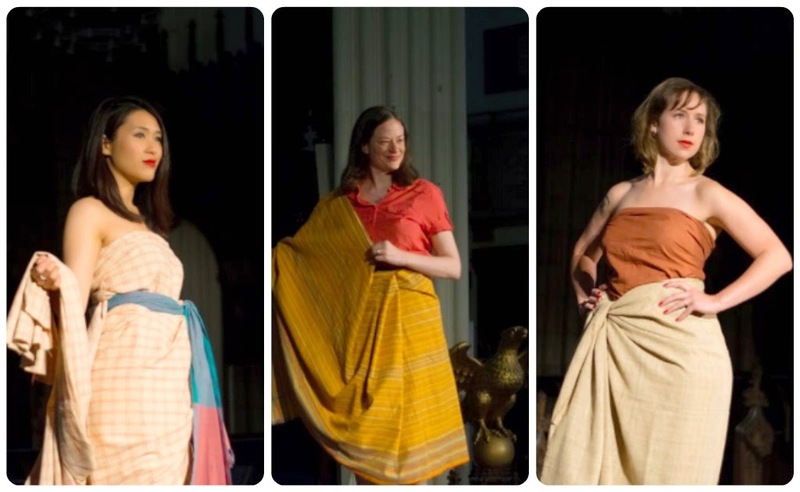 We showed a Weaving Destination documentary as well during the fashion show. The final bow with all our wonderful model volunteers! Thank you all sooooo much! 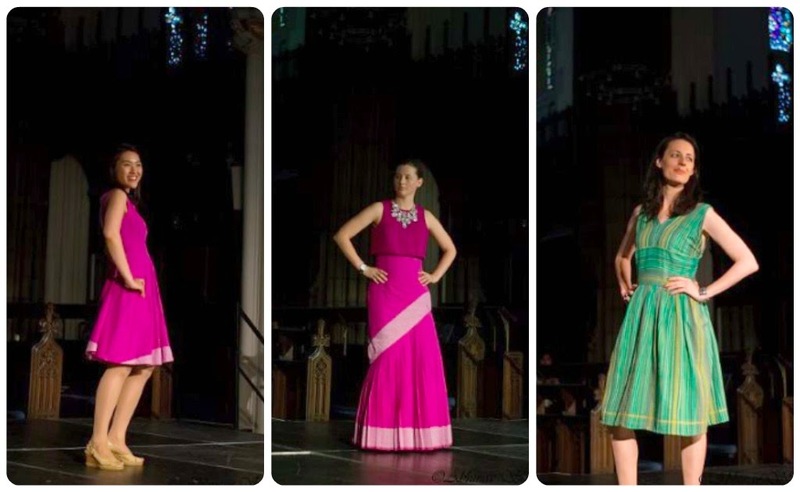 At the end of the show, we had the audience vote for their favourite design and Roisin Muldoon's pink summer dress won first place and Sally's amazing pink evening gown won second place! The two halter outfits came in a very close third! Well done ladies! 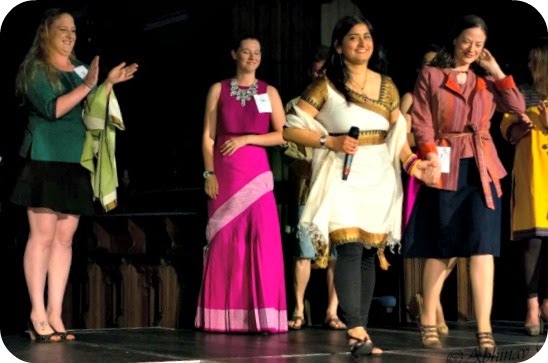 We were very happy to raise funds to support Weaving Destination and sold quite a few scarves and pieces of fabric after the show. Check out more at our Etsy shop! 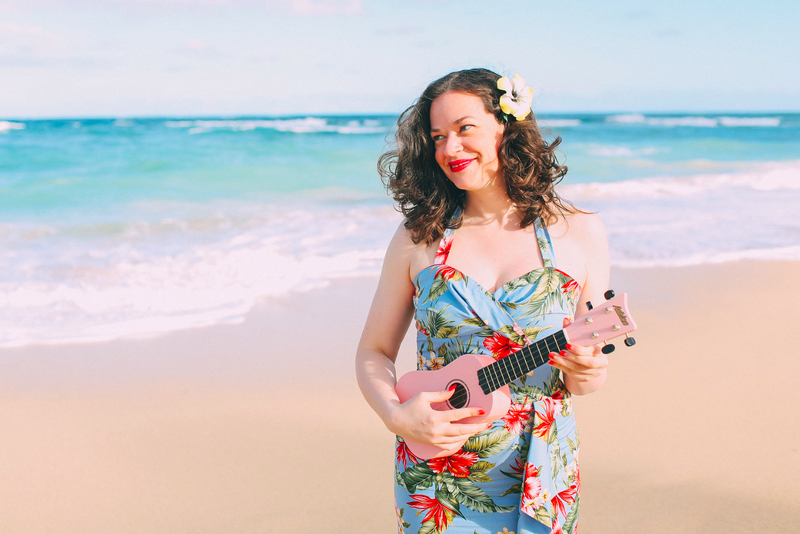 Thank you to everyone for your kinds words on the previous blog post as well! How lovely! What a fun event! Oh Debi what a great event and hopefully publicity for you, too! Looks like it was a wonderful success! Looks fantastic! 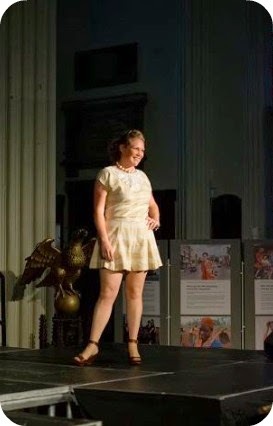 Glad to hear the fashion show was such a success! Looks like it was a huge success after months of planning and making! You are simply amazing and everyone looks fantastic! Debt, I hope you are well. Ars you still sewing?